Greenwich Country Day School has a wonderful tradition. As part of the annual student book fair, parents donate their used kids books for needy children. GCDS graciously invited Books4Everyone last week to take away loads of lovely gently used elementary school books. On the same day, we received a request from Westover School in Stamford. 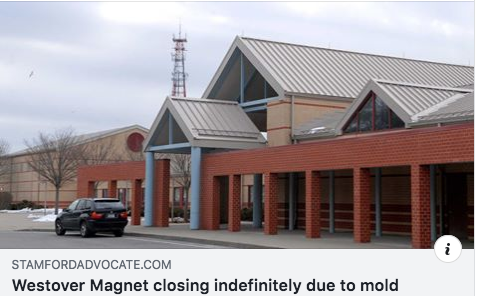 Due to a severe mold infestation, the school is being closed indefinitely for remediation and 800 children and teachers are moving to an old Pitney Bowes campus. All of their books and school supplies must be left behind and destroyed, meaning no books whatsoever in a library or classroom for the children. Maria, their librarian assistant picked up many boxes of the excellent GCDS books from Books4Everyone.org that very night and will be sourcing more from us over the coming weeks as their needs become more clear. Hannah and Matt sure know how to pack a car!